Whether you’re traveling through or making a move, California offers numerous opportunities for families and kids to learn. Explore California’s rich cultural history through historic sites, the state’s vibrant marine life through aquariums, or learn about where food comes in the agricultural state. From big cities to small towns and every place in between, California offers a glimpse of life in the Golden State and beyond. Part museum, part active government, California’s capitol building is a must-see for any educational experience. It provides a look into the state’s history as part of the United States as well as information about how government runs. The Getty is one of the biggest art collections in the world. The Getty Center overlooks the city of Los Angeles and encompasses some of the most famous and beautiful works of art in the world as well as hosts tours, lectures and other educational experiences. Also check out The Getty Villa on the beach side and other Getty cultural epicenters throughout the city. Griffith Observatory is a working observatory but is also open to the public. Get kids on the science bug early with a not-boring guide to the stars or check out some of the regular activities, lectures, happenings, hikes, star parties and more ways to see space from Earth. Also, amazing views of the Hollywood Sign and the city from the prime viewing spot. 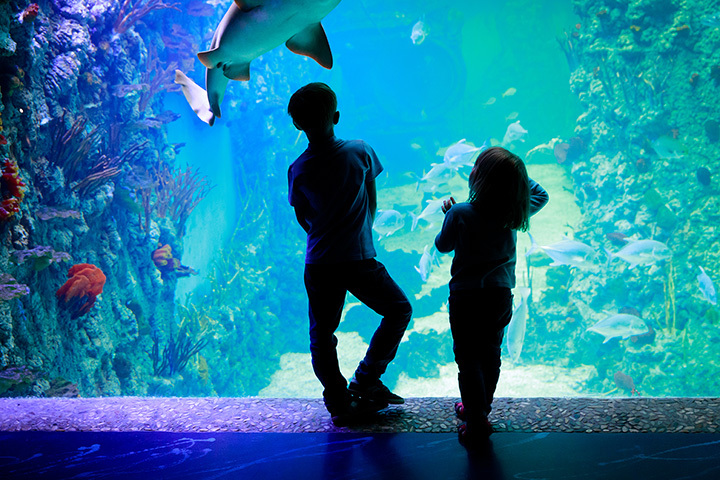 Natural history museums tend to be some of the most exciting types of museums for kids of all ages, and the Discovery Center is especially geared to enhancing young minds. Many of the exhibits offer a hands-on experience of the natural world and history of the planet. Explore the wonderful world of Disney through the hands-on experience and various exhibits and programs offered at San Francisco’s Walt Disney Family Museum. The museum provides a full history of Walt and his most famous creation: Mickey Mouse. Inspiring future generations of animators and dreamers, the museum is perfect for families with kids of all ages. Monterey Bay Aquarium in Monterey’s historic Cannery Row provides a look at aquatic creatures that live in the bay as well as more exotic species that call the aquarium home. Explore programs geared toward kids, learn about conservation efforts and how to protect the world’s oceans for future generations. Much of California is devoted to agriculture and farmland and the Riconada Dairy offers the opportunity to experience farm life with an overnight stay. Enjoy eggs from the farm’s chicken and then learn to gather them yourself or try milking sheep and goats. Nearby you can discover California’s gold rush history as well as other cultural learning experiences. The Ronald Reagan Presidential Library is Ventura County’s proud tribute to American politics. Learn about American’s role in the world and get the opportunity step aboard Air Force One as well as explore the rotating exhibits. The Redwood Valley Railway is part amusement park and part history. Recreated miniature steam engines huff and puff through the tall trees that part of California is known for, to the delight of small kids and the parents that ride alongside them in the small scale locomotive cars.